I really liked the idea of saying something on a piece of cloth which would be part of something larger. The idea that your little square of fabric is part of a bigger piece of art to make a point against something bigger than me. I saw the #imapiece project on Twitter last December and by two weeks ago it seemed to always be on my thread. I clicked on the link and completing a square was easy, just stitch and create a piece with your message. As I new Mum seeing the Save The Children TV advertising last Christmas bought me to tears, my little one was 13 months then and not having a roof over your heads at night or a meal to provide to them seems essential in this day and age but it still is a reality across the globe. My message was simply a question,'Why is my baby fed?' It is just a lottery that I am one of the lucky few in this age that can provide this, but many Mothers around the world cannot. 100% wool is always a great find to start with, if you don't like the garment you can always felt it up by boiling it up in water on the hob for 30 minutes. So you have a number of options, if you buy woolies buy 100% wool as any synthetic will stop the fabric from felting up. This scarf is for a patchwork rug and only cost £1. I have a Cath Kidston throw which is lovely and it will match it perfectly. Look out for my projects later in the week. Oh and always wash your finds in mild hand wash in the sink not the washing machine to make sure they are spring fresh before you start your up-cycling! So soak your finds for 20 minutes in warm water, any hotter and the wool will shrink or felt. These retro pale blue Irish linen napkins were still in their retro '60's box, they looked great for a Spring project. 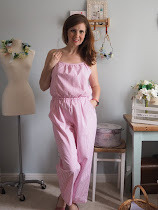 So always look for good quality fabrics, linen washes at a high temperature so you can make sure it is tough to get it Spring fresh in your wash and it is a high quality fabric for you to craft with. You don't want to spend hours of crafting on rubbish fabric. 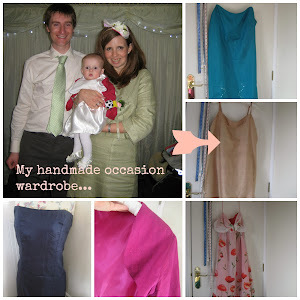 As a busy homemaking Mummy, textile designer and freelancing marketeer, life is pretty busy at the moment. But busy it is good sometimes to take a trip to one of the big trade shows to meet some of your contacts face to face and gain some inspiration for trends for 2013 and beyond...so I got out my contacts, business cards and went to see what the craft market was offering in 2013. It is really good to see a lot of homemaking magazines launching, the one I really like the look of is Crafty magazine which doesn't have a website yet. It is really fresh and modern with realistic inspirational projects. It has a retro feel about the magazine and I am really excited to see this hit the newsstand. I've put a picture up of the first edition so look out in your local newsagent soon. There was still a lot of thrifty, make do and vintage-esque crafty products on display, does this mean that the frugal days are here to stay? But I guess that crafty people can always make something out of nothing and that is what we love to do. I saw a lot of bunting and bunting ribbons on the stands, so tea and cake it for 2013/14. What I really liked and I have samples of is bunting bias binding with a lace trim attached from May Arts, how cool that you just stitch on your bunting triangles to the ribbon and hey you have bunting. 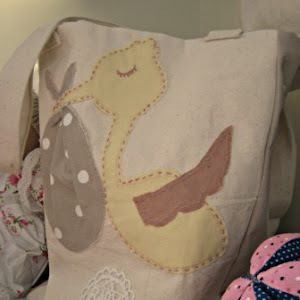 So check out the website http://www.mayarts.com/ for crafty bunting inspiration for your tea parties. I cannot wait to put this on a project. I went to the a blog seminar from Perri Lewis who was inspirational to craft businesses about blogging. Check out her crafty blog .http://makeanddowithperri.wordpress.com/. It is really interesting to see how craft businesses see blogging and take from it, there is still a lot us bloggers and brands can do together. 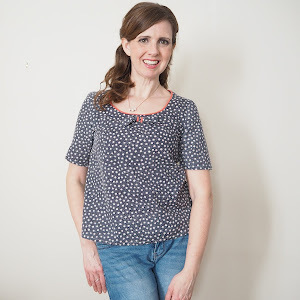 So if any crafty brands are interested in a blogger (me!) to use there products in my posts, just drop me a mail and let's chat. I really love seeing new products and seeing what I can do with it and you can always post this back to your site. Sometimes, making a card is an organic process, I take three little elements and then see what I can do. Try it yourself, take three things you love to put on your card and use your creativity to do the rest. For this card, I took the stamp, the fabric paints and a piece of craft paper printed with the text 'valentine'. The drying of the fabric paint took time and I put it all together in minutes. I love easy crafting. To start, I took the fabric paint and with a wet brush painted a heart onto a scrap of fabric. I always put a plastic bag under the fabric so not to stain my desk. Then put the wet painted heart on a radiator to dry. Then I took my double folded gated card and stamped hearts from left to right across the inside and then onto the left gate. When the fabric heart was dry, this was cut out and stuck with permanent glue onto the card. The piece of typing was ripped around the edges to give an organic feel and then glued on with a glue dot. So if you have twenty minutes today and want to make a handmade creation, see what three things you have in your craft box and create something unique. Love this craft, why not follow and get all new posts straight to your inbox. Thrifty pesto - so gorgeous I am adding an extra post! Thifty Pesto is a fab addional to the fridge as you can add it to most things! I spread it on toasted breads, add it stews as well as stir through pasta (which most supermarket versions recommend). Make it really thick and you can always add some oil to make it runnier to stir through pastas. Chop the onions up into small cubes and saute in the nut oil with the dried basil. Turn off the heat. Add the lemon juice and stir and leave to cool. Add the peeled garlic, basil leaves, cheese and olive oil to mixing bowl. Take the onions and add to the other ingredients. With a hand blender and a tea towel to cover the top of the bowl, blend until mixture looks smooth but will still some texture. Why do to the stores, when you can show your love with a handmade gift or card? I first posted these back in Christmas 2012 and I wass amazed at the response. These cute little hearts are just what you want to make sure that you bag a nice hot bath with the love of your life. Click on the link below to find out how..
With an old type writer and some red and cream card, make an up-cycled card. You can always handwrite instead or print using a retro font off your laptop? Type out your message the rip the papers up and sew together on your sewing maching. I then stuck this on a piece of red card with the my message below. To give the card an arty feel, I cut two pieces of card and stitched them together on a sewing maching. Keep the sewing maching foot down and sew in a straight line ideally with a 90 or 100 needle so you don't break the needle. One unique Valentine's card for your loved on. Sometimes of year it is nice to decorate the home, I am doing this on Valentine's day simply because it is my husbands birthday as well, so I have to go the extra mile but it is so worth it to see the smile on his face! This year I am making a Valentine's day wall hanging with hand painted hearts, all stitched together to form a creative quilt effect. Simple, quirky and very us! I hope I have inspired you for your Valentines? My 'Secret Garden' Wedding Cards..
With some old books to give a vintage feel and pretty papers, I set about making textured Wedding cards inspired by the book 'The Secret Garden'. Using layers of velum papers painted with inks and acrylic paints, I firstly made up a large sheet of pretty punched paper and then tore through this to add a layered on layer effect. To finish off, I took some metal sheet, similar to gold leaf (but much cheaper!) and brush this on and sealed with glue. What I have is a card which looks like you are peering through to a secret punched paper garden of prettiness. You can even add some little keys to finishes it off, 'keys to my heart' with little tags with your spouse to be's name on. I am putting this post up as I have had some many compliments on my DIY fascinators and love making them. They take about 30 minutes to make and really you can use what you have in your stash of beads, fabrics and voile's /nets. 1. 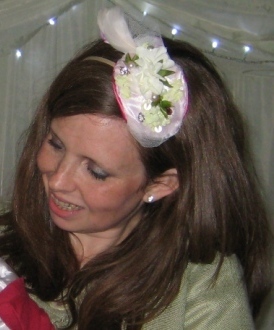 A piece of fabric to cover the fascinator. 2. A piece of felt to cover the stitching on the underneath. 3. A piece of net to add to the fascinator to make it look professional, widows net if you can get it. 4. A few faux flowers, I find home stores such as Dunelm, Next or craft stores such as Hobbycraft in the UK do a good range. If you don't fancy stitching you can always use a glue gun but the end result is not as professional. Most of us have this hanging around in our craft boxes. 1. You first need a template for your fascinator, take a small plate and trace around it and cut out. Then lay this over your plastic bottle so it curves. 2. This will give you a shape that moulds your head when on. If you are making a brooch instead them look for a flatter part of the bottle. 3. Then with the template cut a piece out of the felt and a piece out of the fabric to cover it leaving 1 cm turning. 4. With all three pieces, you can then start to make the fascinator. Lay the fabric onto of the plastic and stitch on with a strong needle in big stitches. This is your base. 5.The idea is to cover the fascinator so that the fabric is just peeking out. This is where you can get create. Find where the top and bottom is and stitch onto the fascinator base. 6. Remember you can cover your raw ends of faux flower stems with beads, trimmings so don't worry about stitching too neatly. 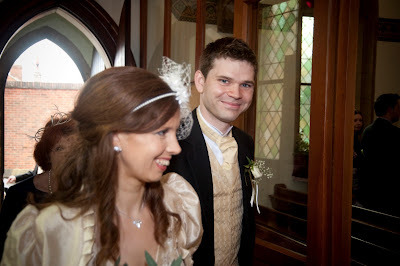 7.When all stitched add your bias to the underneath of the fascinator as in the picture. You then need to add your net, cut an oval shape and gather with a few stitches at the base, attach to the bias. 8.Attach your Alice band at each side of the fascinator with very strong stitches. Cover this with a felt pad and stitch in place. I love making these and once you get your own style the sky is the limit. I hope I have inspired you to make a fascinator of your own. 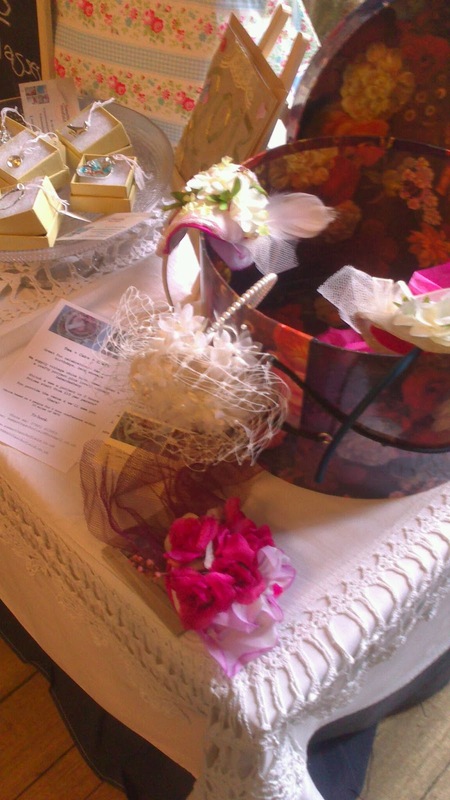 I run fascinator and brooch making half day workshops in Derby. Slice It Up, Pack It Up; Not Too Sweet For Little Ones..
My banana and cherry loaf cake has gone down a storm this week. I needed to start to make not too sweet and gooey cakes now that Lamorna is 15 months and loves her cake. When I was feeding and she wasn't eating big calorific cakes were needed to get us through the day. So I baked sponges filled with jam and butter cream as you will see on my earlier posts. Now, making a loaf cake which the whole family can have in pack ups or as a snack is better than a bought biscuits and better for us too. Plus whilst I had a savoury bake in the oven or some jacket potatoes I can cook both at the same time. Keeps fresh and wrapped up for about 10 days, if it lasts that long. My daughter just loves this and Daddy takes a slice to work. You can freeze for a month but I recommend wrapping it up and eating fresh, it is so easy to make will only take about ten minutes to do.